You are at:Home»Parenting»Do Kids Need A New Wardrobe For Summer? Every fall, we go through the same routine – back to school shopping – but what happens come summer? Do kids need a new wardrobe then, too? It’s a tricky question, and one that depends on several factors. From how much your kid has grown to the summer activities on their schedule, here’s what you need to do before you head to the store. By the time summer rolls around, you’ve probably dug out your kids’ t-shirts, but not much else, which means it’s time to empty out the closets – what you find there will determine what you need to buy. Maybe your kids have some pieces that were too big last year that are perfect this summer, or you forgot that you shopped the clearance racks at the end of last season. Cleaning out your kids’ closets will also help you identify the gaps in their wardrobe and provide you with an opportunity to toss items that no longer fit. Marie Kondo has adults thinking in terms of capsule wardrobes, and it’s worth considering the same approach for your kids. Not only will this help you cap spending on clothes that your children will outgrow quickly, but it will also increase their independence; young children are better able to dress themselves when they can mix and match pieces from within their wardrobe. And after all, summer is the perfect time to let your kids experiment with their personal style. Alternatively, if you don’t want to shape your child’s summer wardrobe around a small set of interchangeable pieces, then consider shopping for discrete outfits. Programs like the kids clothes subscription program kidpik encourage families to shop their look book based on a few rules –combining staple pieces with trends to create fashionable outfits. This same concept applies to any kind of shopping; you don’t want to end up with loose pieces that don’t match anything else. Faced with hot summer temperatures, it’s vital that your little ones have the right clothes for their activities. Summer clothes should be light-colored, made of cotton, linen, or rayon, and parents should avoid layering elements as much as possible. If your child needs to attend summer camp with a swimsuit under their clothes, for example, you’ll want to minimize the weight of any upper layers. As for older children attending sports camp or spending a lot of time outside, they should have light, sweat-wicking options to keep them from overheating. Additionally, most children need new bathing suits each summer since chlorine degrades the material and bathing suit fit is important to performance and comfort. Early fall weather isn’t so different from summer and, with a new jacket or underlayer added, summer tees can have a second life as your kids head back to school. 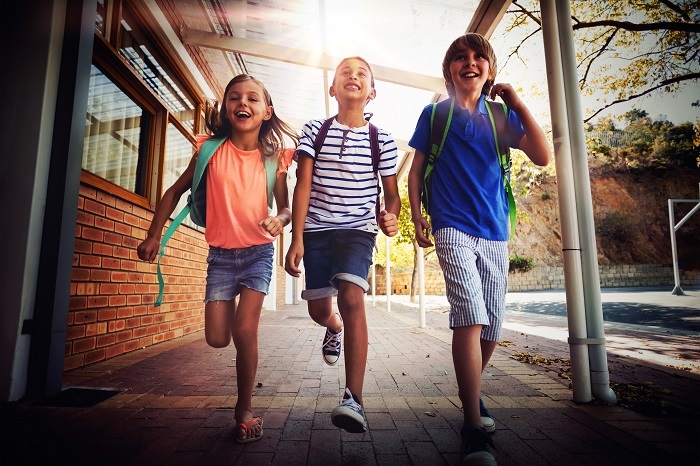 Keeping a few summer pieces in circulation means you get plenty of life out of new items and lets your children take a little part of summer back to class. It may be time to pack up their backpacks, but it’s okay to hold on to summer just a little longer. Previous ArticleWhy is it important to clean and maintain your kitchen?